Blog to Book: for some reason the cover looks grey here rather than sparkling white. I’m in the throes of producing my second blog-to-book using Booksmart, the downloadable software by Blurb. At the beginning of this year I slurped up all my posts to date excluding the 52 weeks and Advent Calendar series. The posts were printed in a 240 glossy page book with a hard cover and with a back-up PDF e-book. Although on the expensive side I was very happy with the quality of the production and feel it was worthwhile. Next challenge was to publish my personal memories (52 weeks, Advent Calendar and A to Z challenge) into another book. I thought you might also be interested in how it works in case you’re keen to try it out for your own blog posts. I may come back with follow up comments after I’ve finished this one. When you tick continue the program will slurp up all the photos for these posts. Depending how many images you use, this may take a little while. Mine happily slurped up 328 photos, showed the process as complete, then froze while it thought about what to do next. Eventually the book template uploads and you can start editing. A word from the unwise: you’re probably better off selecting a theme of topics eg the 52 weeks series or the A to Z challenge. On this occasion I’ve bitten off more than I can chew. Currently running at 460 pages, I’m guessing by the time I’m done with my edits it will come down to the max permitted of 440. Last book I produced from 2010 and 2011 posts I went with premium pages but this time I’m going to chance it (like the old Aussie motto “chance it with Ansett”) with standard paper quality. You then have to cut the captions which have been sucked into the body of your post and either paste them into the caption box, if your layout permits or adding a caption list to the end/beginning of the post. So there’s a bit of fiddling around with editing to be done, all of which takes time. Occupational health advice: try to do all this on a big screen with a proper mouse, not on your laptop, as it plays havoc with your body if you constantly use the laptop mouse. I speak from experience. None of this is rocket science and I’m already aware that going with the maximum pages isn’t the smartest choice I’ve ever made either. I could solve this problem by eliminating a batch of stories eg A to Z, and all I’d have to do would be to highlight the pages and delete them (again it will take time to complete that task). However I really want them all in one place so I will persevere. If you need to grab back some space, just edit your comments so everything is not on a separate line, and use a text-only layout for pages where you have no photos. One of the things I like about Blurb is that the document is always saved, and online, so you can just take up where you left off next time you go in. I have a long way to go before I’m finished with this task and I know that I will be thoroughly sick of it by then, especially with my shoulder currently giving me some grief. BUT I also know that judging on my previous blog-to-book product it will look impressive and provide a lasting record of what could be a transient virtual world. As you can see I have more faith that the book will survive the years. I will also have a PDF copy so I have backup insurance . An American genea-mate asked me for recommendations of fictional books set in Australia as a way of getting to know a bit more about Australia, and I guess her people. This is my list of possible options though of course one could go on adding books indefinitely. Also a lot depends on whether the focus is to be modern life, or a story in an historical setting, as well as personal style preferences. Bill Bryson: Down Under (may be called In a Sunburned Country , or possibly Walkabout, in the US). Hilarious essays on Australia. I could really relate to some of his comments on Darwin. Kate Grenville: The Secret River (a fictional story, based on some historical fact, about life north of Sydney in the early days). Issues of convicts, colonisation, and relationships with Indigenous people. Sally Dingo: Dingo, the Story of our Mob (a biography of Ernie Dingo, a well-known Indigenous actor. Tim Winton: Dirt Music (a modern story set in Western Australia). Not one of my favourite books, didn’t like the ending, but I admired the fact that he started again from scratch with hundreds of pages written. Neville Shute: A Town like Alice (includes WW2 theme and Northern Territory). David Malouf, Peter Carey, Thea Astley, Janette Turner Hospital (short stories) are all other authors who would provide a more modern insight into Australia today. I have used LibraryThing to link these book titles to reviews which may help find out more about each book, and see which appeals. Everyone’s taste is quite different in books. I’m not sure how difficult these books will be to access from bookshops or libraries in the States, but at a quick glance many are available as Kindle e-books. What recommendations would other Australian geneabloggers want to add to this list? Please do add suggestions in the comments. I’m looking forward to seeing some different perspectives and reminders of ones I’m bound to have forgotten. The world is your family tree oyster with blogging. Edited image from Office Clip Art. Thomas McEntee of Geneabloggers fame has raised the question of why we blog and why so few family historians/genealogists follow one or more blogs. A recent survey by the New England Historic Genealogical Society in Boston revealed that blog reading and engagement is followed by less than 40% of genealogy researchers. Don’t know how: there are great suggestions from Lynn Palermo at The Armchair Genealogist on getting engaged with the online genealogy community. Don’t know they’re out there and what benefits they will hold. It’s up to bloggers to promote these benefits within our own societies, communities and networks: write a story for our magazines, send a note to go out with the society flyers. Don’t want to write a blog: you can follow one without actually writing one. Time: so many things compete for our time but as family historians we’re an obsessive bunch: once we know what we can gain from following blogs we’re likely to “make” time. Why do I blog and what’s in it for me? The reasons for this have changed since I began blogging nearly 2 years ago. I’d been thinking of starting up a family history web page for a number of years, but couldn’t get on top of the process and was ambivalent about disclosing all my research details on the web. 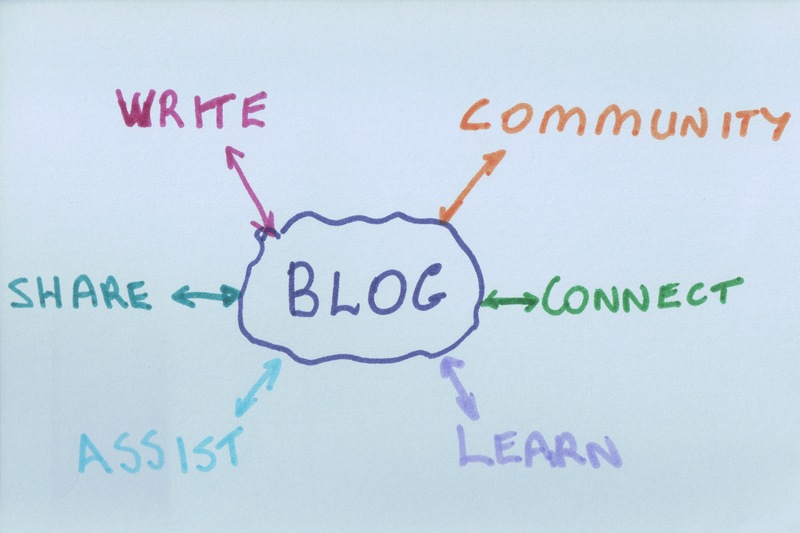 Blogging seemed a great compromise and it has proven to be more rewarding than I anticipated. 1. Sharing research findings or “getting it out there”. This remains my key goal for the blog. It’s a way of crystallising my thoughts and actually documenting what I’ve found, though I’m still selective on what I choose to publish. I try not to always make it specific to my family but include some element which might be useful to other researchers. It’s a form of “show & tell”: these records helped me, they may help you. We nearly all say we’re going to write up our family stories. This is a bite-sized way of doing so, and then you can always put your posts together and publish it either in the public domain, or just for family. By having my family research on the web, it increases the chances that someone who is connected to my families will make contact. Of course much of this depends on using keywords and tags to maximise the search outcomes. Funnily enough my most successful page is that on the emigrants from Dorfprozelten to Australia…the joys of an unusual place name. As a by-product it means that I’ve been able to connect families who are related…some days I feel a bit like Yenta the matchmaker from Fiddler on the Roof 😉 Hence the importance of leaving comments so other relatives know you’re out there, whether you choose to blog or not. This has been one of the unexpected outcomes of blogging. 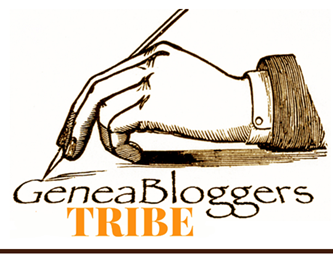 Once I learned about Geneabloggers, it opened my eyes to the wider geneablogger community. I use Google Reader to stream all my favourite blogs into one location. 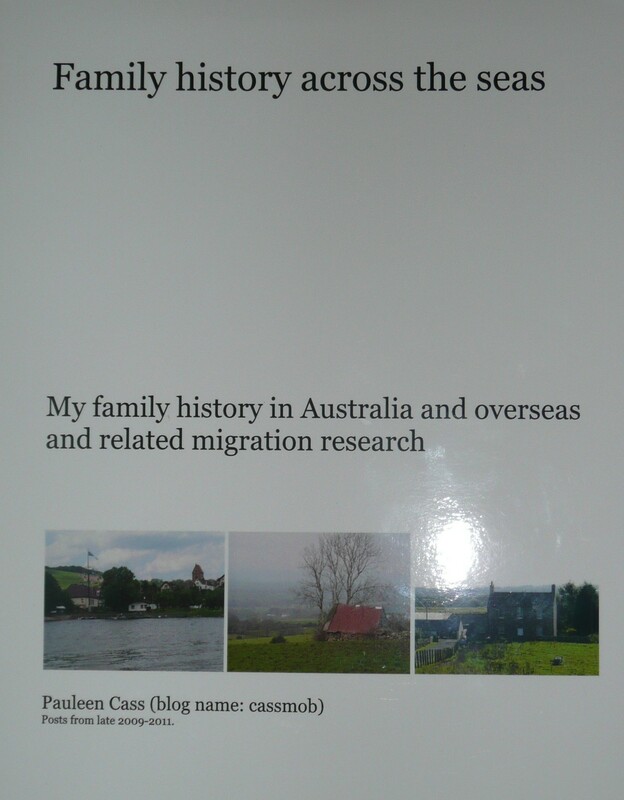 I’ve learned so much about new research and writing strategies and innovative technologies through my blog reading, not to mention the as-it-happens release of world-wide genealogy information. With the proliferation of data online these days, having lots of watchers makes a huge difference…a bit like many hands etc or two minds being better than one. This has been the completely unexpected benefit of blogging. 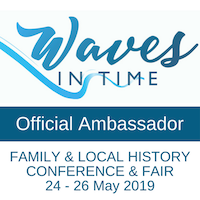 Not only do I get to learn about people’s lives through the 52 weeks of personal genealogy and history series, but I learn more about family history and how it’s done around the world as well as the progression into researching our families’ communities. Bloggers are doing great things with transcribing community information, writing about family diaries etc. Through comments and reading their blogs I now feel part of a community which goes vastly beyond my geographical boundaries. It’s why I make time in my week (not always every day) to read the blogs, and comment regularly on them. Love it! These are the highlights of what I get from blogging, I hope I’ve tempted you to dabble in the blogosphere and see what you think. I’d be interested to hear from newcomers to the blogging world. After listening to five of the seven online video-streams, I was thoroughly bewildered by all the choices: so many strategies, so many concepts to absorb. If I felt like this after such a small smattering of talks, I can’t begin to imagine the impact of listening to all the sessions live. Or the thrill of meeting delegates from so many places. It must have been incredibly stimulating. So why am I bewildered and bemused? Having started my research in advance of the digital era my records are a mix of hard-copy, written notes, digital files, hard-copy or digital photos, super 8 film, video film and so on. Where to start with ensuring its all preserved, put online, kept up-to-date and accessible for future generations? How long will that take (how long is a piece of string)? A prevailing assumption throughout the talks was that everyone’s research is predicated on recording our family stories and I’m sure that is the intention of every family historian. But how successful are we at doing this? The very bower-bird habits that make us love the hunt for new clues, names and locations, tends to inhibit us from actually documenting our stories….we’re never really “finished” on this trail of ancestors, so we can’t write/record it, can we? This is possibly our greatest weakness as we collect our maze of information which may be indecipherable to even our closest kin if we don’t draw it together. Lynn at The Armchair Genealogist http://www.thearmchairgenealogist.com/ has a great blog to help anyone kick-start their family history: to paraphrase Ancestry “you don’t need to know what you’re going to write, just start writing”. Again the strategies are important, but getting started is the first, most important, and somewhat scary step. 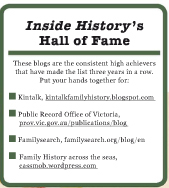 Lynn has also challenged fellow family historians to commence their project this month, and even though we’re half way through February, there’s nothing to stop you beginning now, using her posts to help you along. 1. To include newbies in our enthusiasm for our obsession, sorry, hobby. 1. The importance of actually recording our family and personal stories, for current and future generations: that’s what all the online resources are provided for. 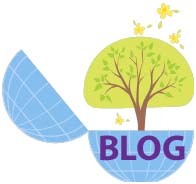 Blogs do provide a great way of sharing our information. 2. The importance of keeping our digital archives in multiple locations, selecting the right format to use, and to review and update the format regularly. (A lot of work in this one). 3. The potential influence of family historians on archives and libraries and in particular the digitisation of records. So RootsTech has come and gone for 2011. I wonder how many genies will schedule a trip next year and, for those who can’t get there, will the organisers make the video stream more widely available even on a user-pays basis. I’d certainly be willing to pay for the opportunity to see it from Australia despite the challenge of waking up at 1am to see some. Although I was only able to attend online, I gained a lot from these sessions and these are some reflections. Genealogy is a brain-stretching and challenging hobby which we all do for love or fun, or we’d have long since moved on to golf or tennis. On this point I agreed with Curt Witcher. However I disagree that people won’t do activities which don’t bring them immediate success or cause them too many challenges. I think the many genies out there who’ve been pursuing their research for anything between a few years and a few decades are living proof of our determination. We’re some amalgam of bloodhound (pursuing clues wherever they may be), bower bird (collecting any snippet of information that illuminates our family stories) and puzzlers extraordinaire who whoop for joy when two puzzle pieces lock together. These attributes are no doubt part of why everyone had so much fun at RootsTech: it seemed like a giant genealogical lolly shop with new information, new strategies and innovative technology to help us expand our histories. Barry Ewell gave a fascinating talk which could only scratch the breadth of preserving our family history by digitising documents, old Super 8 films and videos, as well as music on 33s, LPs and 45s or cassettes. He also highlighted there were two branches of our research we should consider: our own personal history and the history of our ancestors. We need to be selective and preserve the “photo”/document etc that best represents the person and event. The need to have multiple copies, stored in different locations is apt considering recent events in Queensland. A recurring theme was to ensure we kept our documents up to date with changing technology. Barry also offered to send a link to the full presentation but as yet my request hasn’t come through, so I’d be interested to hear from others if they’ve received their link. Curt Witcher’s talk challenged us, in essence, to welcome new researchers to our hobby by letting them into the sandbox before sandbagging them with rules about white gloves, citations, and procedures. I still disagree with the Ancestry slogan of “you don’t need to know what you’re looking for” as I imagine people happily building trees filled with branches and twigs who have no actual relationship to them and claiming a BDM because it’s the only one online. I also disagree that citations aren’t important –how else to allow others to follow the same path, validate the data, investigate the same archival source, or acknowledge the research contributions of others. This should be an early lesson once we’re all in the genealogical sandpit together. There were challenging concepts for genealogical societies, too, as Curt said that most new researchers are not society members: a warning call to ensure that they have a comprehensive online presence so those 21sters are tempted to visit and join their society. Curt told us that change is an opportunity not a difficulty –nothing new there –but have all societies taken that on board? Josh Taylor’s talk on PDF documents opened up a world of challenges and opportunities in terms of preserving, sharing and maintaining the integrity of our family history documents. So many new tricks and skills to incorporate into our research strategies. He talked about the role of Facebook and Twitter as 21st century diaries which can incorporate a lot of family and personal history. This will be lost if we don’t move quickly to extract the stories. Brewster Kahle’s talk on Personal Archives was fascinating and received great audience support. His credo that “everything” should be available free online resonated with people. His company clearly demonstrates the “copies in multiple places” strategy with duplicate centres in San Francisco, Amsterdam and Alexandria, as well as its commitment to democratising information and making it available world-wide. That we have an obligation to make our histories available to our children on the internet as they are not going back to libraries (still not 100% convinced on that topic). Wayback is a great resource for finding archived websites: I’ve been using this for years without knowing it was attached to the Internet Archives. We need to ensure we’re recording our own stories for our descendants. So at the end of the conference I was bedazzled by the wonders that had been highlighted and felt like a very happy bower bird with a nest full of bright, shiny blue glass. However I was also bewildered and somewhat bemused, of which more anon. The biggest roadblock in writing my Kunkel-O’Brien family history in 2003 was trying to give my readers a flavour of the ancestral home village in Bavaria. I struggled with this stumbling block for weeks, but during a day’s creative writing class at the NT Writers’ Centre a lateral approach came to me. Instead of being absolutely factual, I invented a story about George Kunkel’s final day at home in Dorfprozelten before emigrating, within an imaginary emotional context. I didn’t pretend the story of that day was anything but total creative licence, but it provided me with the vehicle to give my family an evocative impression of the village, and its social structure based on the information I had about the village. The accompanying photographs illustrated the specific places mentioned. I was delighted when the village’s local historian complimented me on this part of my history. ©Pauleen Cass 2003 “Walk with him on his last day at home in Dorfprozelten. A quick visit to the old Marian chapel to pay my respects and pray for safety on the voyage and that of my mother and family left at home. It’s hard on the old people, Frau Nebauer still frets for her son and daughter-in law. She’s only had a few letters and worries that they might be finding it too difficult in that strange country. So much sadness when the young ones opt for adventure or the chance for a better life. The river comes into view again and it’s time to take the path to the forest. A quick prayer at the shrine and it’s up the steep hills to the cover of the trees. The boars are snuffling in the distance but they won’t bother me today. Finally I reach my favourite spot where I can see the whole village spread out before me. The river is clear and smooth now but later the barges will track invisible paths through it, and one of them will carry me on the long journey far away. Flags flap in the breeze outside the bargemen’s houses telling all their friends they’re home and good for a chat, a smoke and a stein. The vineyard looms over the village like a priest lecturing his flock from the pulpit, and the labourers move up and down the vines, pruning. There’s a rhythmic calm to their movement. It’s strange how it’s this experience that’s given the men a chance to try a new life in Australia, after all the news that they want to start a wine industry there. Dry wine for a dry country. Walk by the cemetery, to place a few wildflowers from the hill on Father’s grave. Mother was here last night and the lamp is still burning and her flowers are fresh. I need to say goodbye to my departed family too. I’ll miss being able to come and say a quiet hello. So many generations, and my little sisters, all lying here, faithfully tended by those still living. Just enough time for a quiet walk along the river. I’ll see the length of this great river in the days ahead, but there’ll be no time for reflection then. It’s so peaceful along here in the shade of the trees. There’s some hustle and bustle on the barges now so I’d best hurry. Herr Brand is in the yard of the Goldener Stern, watching the action, and missing the lure of the sea. Only time for a passing prayer at the crucifix shrine, hurrying to get home as the Angelus rings out. My brother Jacob is busy with the lunch guests and we only have time for a quick goodbye. He’s taught me everything he knows about meat and cooking, so I’ll have useful skills in my new life. Mother hands me a parcel of lebkuchen, rye bread, cheese and sausage for the voyage, hugs me quickly, and turns away with tears in her eyes. I have to leave quickly or it will be too hard. Dashing down the path I cast a glance back. Mother is watching silently from the upstairs windows framed by flowerboxes. Gute Fahrt aus Dorfprozelten, Georg.